If you or someone you know has been injured in a car accident to someone else’s negligence, it is time to recover the compensation you deserve. Here is a simple question. When was the last time you checked the air pressure in your tires? If you are like many drivers in Utah, the answer may be never. The results could be disastrous. Underinflated tires are one of the leading causes of blowouts that can lead to a fatal car accident. Yet, far too many people often neglect to perform this simple task. You don’t have to be a professional mechanic to make sure your tires are in good condition. Checking your tires once a week not only improves the life of your tires, it will also help save money at the pump. Imagine walking all day with ten-pound weights attached to your ankles. That is exactly how your car feels with underinflated tires. It forces the engine to work harder, causing your vehicle to burn more fuel. Maintaining proper air pressure helps your car or truck perform much more efficiently. Cars with proper tire pressure are also easier to maneuver in an emergency situation. One of the most common misconceptions about tire pressure is the eye test. Even if your tires look properly inflated does not mean they have the proper tire pressure. Driving with under-inflated tires also causes excessive wear and tear to their tread. This makes it more hazardous to drive, especially in wet conditions. Check the air pressure in your tires is one of the easiest forms of car maintenance. Yet, so many people either don’t know or have even tried to check the pressure themselves. To properly check air pressure, simply use a tire pressure gauge. They can be found at most auto parts stores and gas stations. To find out the proper air pressure, check your owner’s manual or simply open the driver’s side door and read the information on the sidewall of your front tire. Once you find the correct numbers, unscrew the cap on your tire gauge and place it into the tire’s valve stem. Your gauge should immediately provide an accurate reading of your current air pressure measured in psi (pressure per square inch). Keep in mind, it is best to check each tire’s pressure while the tire is cold or before they have been driven. Then simply add air to the appropriate tires that are underinflated. If your tires are overinflated, release some of the air from the valve stem. Maintaining proper air pressure can reduce your chances of getting into a car accident. But it is not full proof–especially if you are injured in an accident caused by the negligence of others. Just one accident can result in catastrophic injuries and even a fatality. It is vital to receive the maximum compensation to account for your medical expenses, damages, and lost wages. 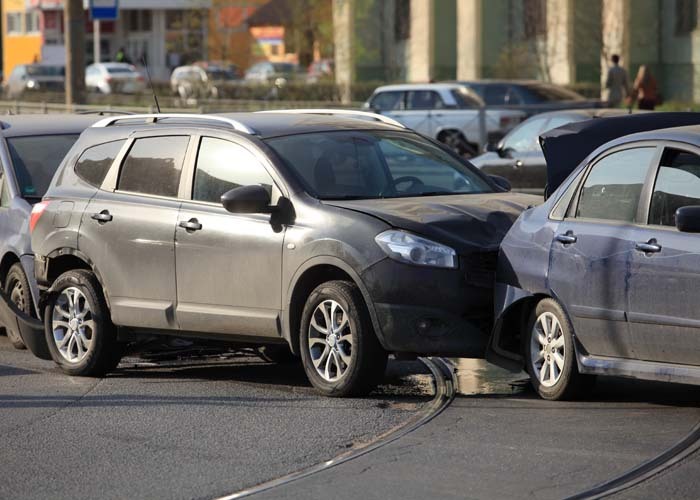 Farmington car accident attorney Joseph Jardine has committed his career to protecting the rights of accident victims by utilizing an aggressive and comprehensive approach. He and his legal staff work diligently in the courtroom and behind the scenes to ensure each client is placed in the best position to succeed. If you or someone you know has been injured in a car accident to someone else’s negligence, it is time to recover the compensation you deserve. The first step is to contact the Jardine Law Offices, P.C. in Farmington and schedule a free initial case evaluation.